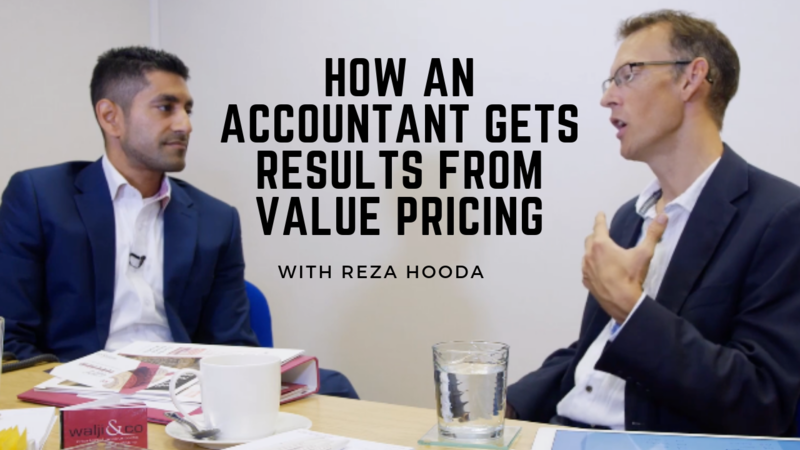 Reza Hooda used to price based on a mixture of hourly rates and gut feeling. Then he learnt about value pricing through my mentoring programme and it completely transformed his business. An opportunity arose for Reza to use his newly learnt value pricing techniques to price an incorporation project involving a property client. He sat down with the client and worked out what they wanted to achieve and where the value in his service was. Based on that, he prepared a proposal and, using the menu pricing tactics, presented his client with 3 options. It was priced at £66,000. And they accepted it. Reza used to price his compliance work by charging a similar rate to the client’s previous accountants.